The path leads through a variety of terrain, across forest, meadows and pastures. 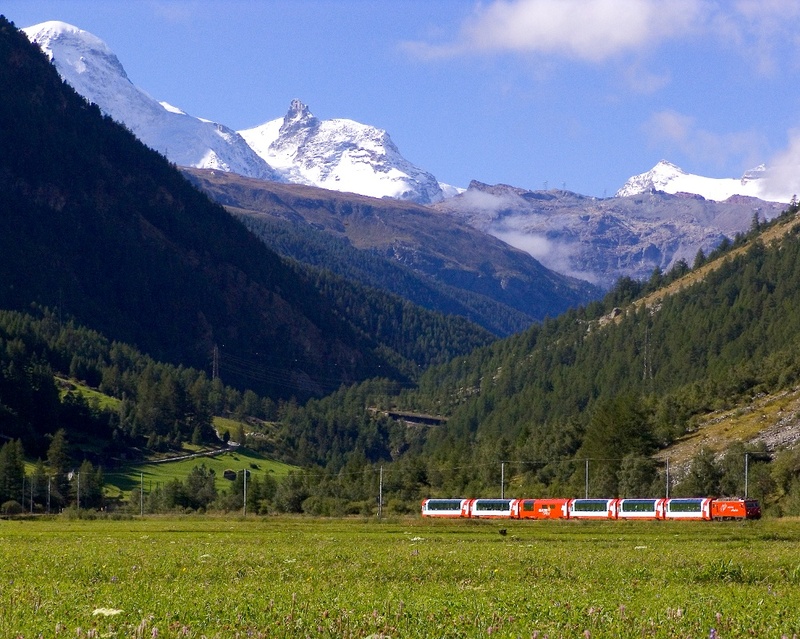 Here the star attractions are the trains of the Matterhorn Gotthard Bahn – and, just before 9 am and just after 5pm, the Glacier Express with its panoramic carriages. 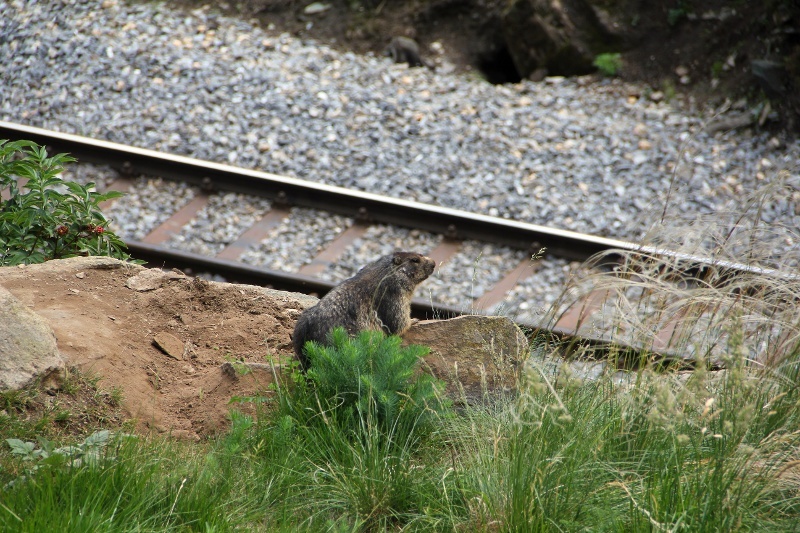 As walkers approach the large marmot colony, the furry rodents whistle in alarm and disappear into their burrows (the noise of the trains, however, does not disturb them at all). Hikers only have to sit still for a while for the charming creatures to appear again. At the Air Zermatt heliport on the way out of Zermatt, weather permitting, walkers can watch the movements of the helicopters. The dramatic take-offs and landings are often a matter of life and death. On occasions, a helicopter will return from a mission with the mountain rescuer still balancing on the landing skid. The benches above the Air Zermatt helicopter base are an invitation to sit and ponder. Depending on their missions, you can also watch the Air Zermatt team at work in the helicopter base. 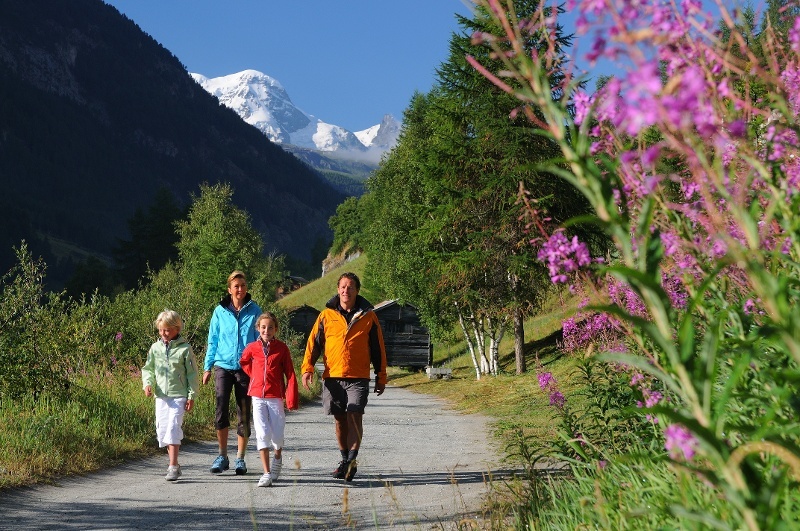 Note: Please take note when the path is closed from late autumn to spring: avalanche danger!